This is delightful Maroochydore river accom in just the right position. 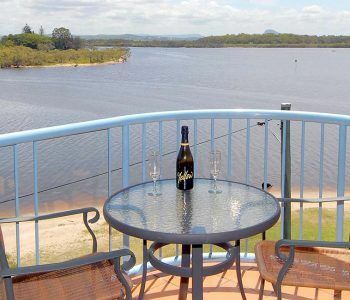 Reflections Holiday Apartments Marochydore sits on the Maroochy River with views overlooking Chambers Island on the left and and Channel Island and Goat Island on the right. Across the channel you can see Twin Waters as well. 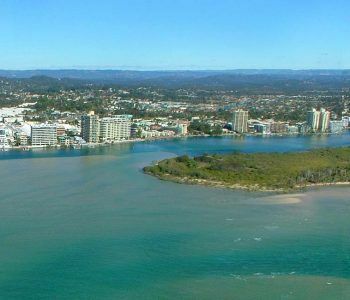 These riverside apartments n Maroochydore are perfect if you are looking for a serene and relaxing location close to all the other Sunshine Coast attractions. They make an ideal base for exploration and adventure. With fully self-contained 1, 2 and 3 bedroom apartments, singles, couples, groups and families will find good and reasonably priced holiday apartments here. For the fishing enthusiasts, onshore or in a boat, the Maroochy River there are plenty of opportunities to catch some good fish. At Picnic Point and Chambers Island, throw in your line on an outgoing tide to hook a Flathead or two. The Flathead like to wait for food to come off the sand banks. Soft plastic lures are a good way to target these fish without messy bait. Anglers who take the effort to fish at the mouth of the river beside Pincushion Island can be rewarded catching trevally, tailor, bream and large jew. Closer to the apartments, the Sunshine Motorway traffic bridge is another well-known spot where you can catch trevally, jew, bream and moses perch. The bridge pylons also provides great cover for mangrove jack. Of course there is more to the Maroochy River than fishing, with opportunities to hire water sports equipment or motor craft. Whether it’s a tinny or a cruiser, you can fit the whole family in the boat. Extra large groups can hire BBQ boats — big enough for 12 people. A holiday resort is not complete without a pool, a spa and BBQ. All of which are present at Reflections Holiday Apartments Maroochydore, with rooftop spa and BBQs provided for each apartment. Rather a bonus don’t you think? 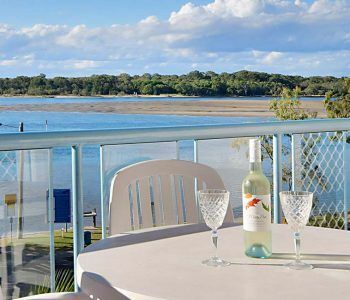 Why not take advantage of this delightful Maroochydore river accom. Book now.